“AI for good”, — the expression is used frequently and almost no industry meeting nowadays will finish before someone mentions the words “ethics” and “AI” together. The importance of ethics in the development and functioning of the solutions backed by artificial intelligence should not be underestimated. More and more governments, communities, companies, entrepreneurs, scientists and even celebrities are highlighting the need for a thoughtful and cautious approach to what some of us call exponential tech. The buzz in the media is very much driven by fears. However, these fears have some very substantial backgrounds that we carry from our past. We know historical examples where research and its commercial exploitation led to tremendously regrettable societal, economic and environmental impacts. So, do we have the reasons to be worried? Should we draw the parallels with the past? How can we prevent negative consequences? How should we act to embrace upcoming changes and fuel them in the right direction? And, eventually, what do we call “right”? Surprisingly, in all of the discussions around ethical aspects of AI that we participated in, the accent was shifted towards the topic of AI rather than to the topic of ethics. Some people are satisfied with the thesis that %technology% (substitute %technology% with AI, blockchain or any emerging field you want) should only do “good”. Yes, “we are all here for good”, in the room everyone nods positively and the discussion naturally stops. However, many would stumble if asked to elaborate on what do they actually mean by “good” and how do they define the boundaries of it. We do believe that further questioning is needed. We know that shallow questions lead to shallow thinking, and shallow thinking could result in tragic consequences. In the series of articles, we want to flip the focus towards ethics rather than AI. The main motivation of such focus is to prepare the discussion space on quantitative ethics in emerging technologies. Quantitative Ethics — the discipline that makes use of quantitative methods to evaluate ethical aspects of decision making. Decision analysis has made important contributions to our understanding of judgment and good policy-making. However, such analysis often falls short of what is needed when ethical problems raise fundamental, value-based issues. Where can AI engineers and ethicists contribute to each other’s efforts that might advance the work that both of them do? 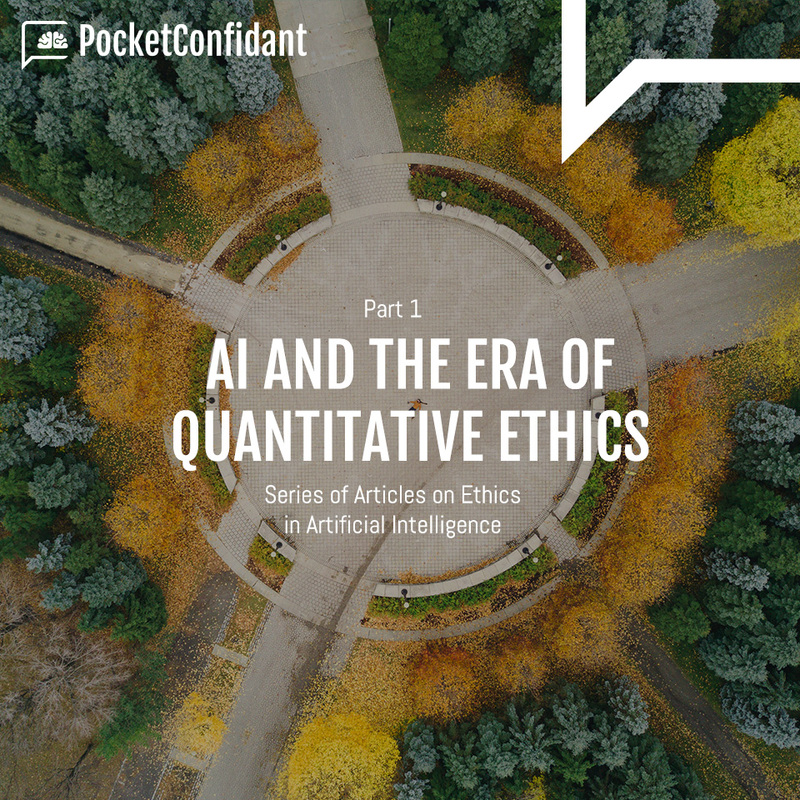 We hope that this series will help us all to expand on concrete approaches to make AI decisions potentially measurable and evaluable within existing ethical frameworks.